What Is EMV Quick Chip? 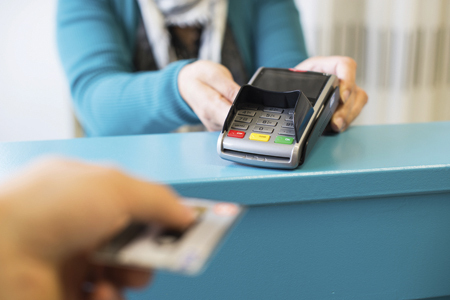 In the US, the switch over to EMV chip technology has been sluggish. The main complaint from customers and merchants alike is that chip card transactions are too slow. The average transaction with a chip card has always been several seconds longer than the 2 seconds it takes to perform a mag stripe transaction, which can seem like an eternity for a customer in line or for a cashier with a long line of people. This slower card transaction is mostly because the EMV standardization was pushed along by the card issuers (Visa, Mastercard, etc.) whose primary objective was security, not taking into account how transaction speed would affect businesses. Quick chip technology was developed to help merchants ease customer frustration and improve customer experience during check out. Quick chip is nothing more than a software update and it is free of charge to payment processors, acquiring banks, and other payment service providers.It only requires a simple software update on the merchant’s terminal or POS system, so merchants who are already EMV compliant can upgrade in no time. How does the quick chip technology work? When using a terminal that has the quick chip update, the customer will insert their chip card for a couple seconds and the POS system will retain the chip data for use when it requests an authorization. Since the chip data is being read and held in the terminal prior to the authorization request’s transmission for processing, the user can remove the card before the transaction is complete. When the final sale amount is known the terminal will build the authorization request and quickly finalize the sale. Quick chip technology is facilitating a quicker adoption of EMV technology by both merchants and consumers. Below are links to each of the card issuers websites where you can learn more about the quick chip implementation process. With just four months left until the October 1 liability shift, it’s imperative to help your clients make informed decisions about EMV technology now. 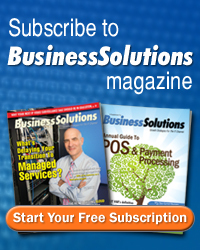 To give VARs some perspective on SMBs’ progress in the transition to EMV-enabled payment technology before the Oct. 1, 2015, liability shift date, BSMinfo.com reported the results of the survey, SMB Preparedness for the Transition to Chip-Based Credit Cards, by Software Advice, a research and reviews website for IT security software. The survey revealed that as of late last year, only 11 percent of SMB merchants had terminals capable of accepting EMV payments made with integrated circuit or “chip” cards to authenticate transactions. The report also included the reasons SMBs hadn’t yet installed EMV terminals: 30 percent said they are unnecessary, 17 percent said they are too expensive, 16 percent said they had no time to research or implement them — and 26 percent said they didn’t know what they are. At the time the survey was released, there were about 10 months until the October 1 liability shift — when liability for fraudulent payment card transactions shifts to the party with the least EMV-compliant technology. Now, with only a little more than 100 days until that date, your SMB merchant clients might still be in the dark about this impending change. Business Solutions asked VARs if they’ve seen progress among their SMB clients since the survey — or if 26 percent are still unaware of EMV. With merchants aiming to provide the best customer experience to stay competitive, you can also explain to SMBs how EMV technology can contribute to a positive experience by protecting consumers’ payment cards — and their accounts. Chip cards create a unique transaction code — so if data were stolen, a payment attempted with that one-time code would be denied, and the cards can’t be duplicated. In addition, says Chilcoat, “With a chip card, the issuing bank can send updates to the card through any EMV-capable terminal. So if a potential breach of that card’s account number had occurred elsewhere, the next time the card is put into a terminal, it can have security updates sent to the chip. The card becomes an active part of monitoring the account for suspicious activity.” For example, if a chip card is used repeatedly in a short period of time at a kiosk that doesn’t require online authorization, the chip can tell the terminal not to accept the next transaction without online approval. For merchants, having EMV-enabled systems protects them from chargebacks for fraudulent card transactions. Your conversation with an SMB merchant could evolve into a math exercise of how many fraudulent transactions they experience now and how that compares to the cost of upgrading their payment systems. That calculation, however, might not be a good predictor of ROI for some merchants who could see an uptick in fraud after October 1 if they don’t install EMV-compliant solutions. Patty Walters, SVP of EMV corporate strategy for Vantiv and vice chair of the 2015-16 EMV Migration Forum Steering Committee, urges, “If you serve retail, supermarket, fuel, or drugstore merchants, understand that EMV integration is absolutely critical to protect them.” She explains those merchants — selling gift cards, electronics, or jewelry — will be targets of fraud if they do not have EMV-enabled systems after the transition. Chris Martyniuk, CTO of etixnow, a provider of e-ticketing solutions, based in Edmonton, Alberta, Canada, adds that beyond saving the cost of chargebacks, you should discuss the other ways EMV can protect your merchant clients. “You cannot put a price on the ability to escape being blamed for fraudulent purchases. The returns are immediate. Reputations are fragile — no merchant can afford to be in that position,” he says. “Losing sight of your card feels instantly like, ‘It will be stolen. I will be defrauded.’ The same trend will take hold in the U.S., and merchants without EMV upgrades will be left on the side of mistrust,” Martyniuk says. Point to point encryption explained in short video. P2PE and identifying points of vulnerability. Watch this short video to understand how point to point encryption (P2PE) safeguards your customer's card data.